All Battleground matches are calculated into the BG rankings regardless whether it is Happy Hour or not. War of Emperium time is changed to Saturday from 14:00 to 15:00 Server Time only, instead of Saturday and Sunday. In other words Sunday WoE is replaced by BG Sunday Happy Hour. 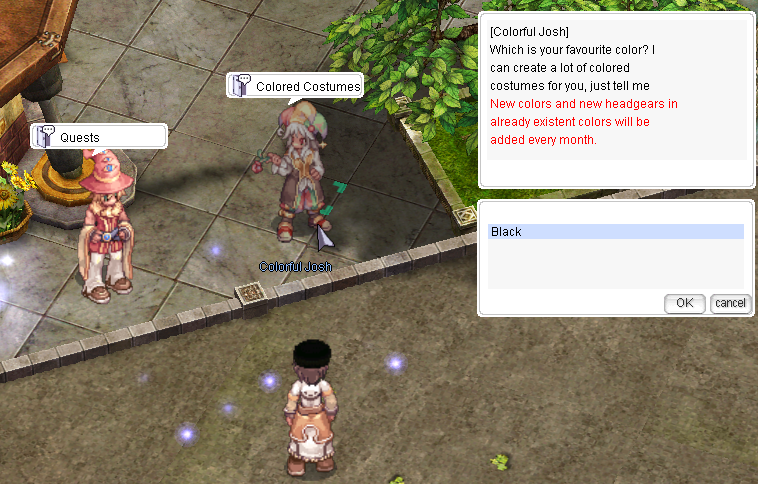 The cash shop button/window is removed and replaced by Cash Shop NPCs in Prontera. You can find them with the City Guide NPC. Fixed all reported bugs, including the storage weight bug. Everything is super clean. Fixing bugs took most of our time in this update. But now that everything is fixed and the game is super clean, new PvM content will come again starting from the next monthly update in the end of February.